Renowned Portuguese poet, novelist and essayist Helder Macedo will be writer-in-residence at the University of Notre Dame this month and will deliver the keynote address “Nation Versus Empire” at “Africa in Portuguese, the Portuguese in Africa: An International Research Conference” being held Friday and Saturday (April 18 and 19) in the University’s Hesburgh Center for International Studies. The conference will bring speakers from Angola, Brazil, Mozambique, the Netherlands, Portugal, the United Kingdom and the United States to Notre Dame to debate the complexities of Lusophone Africa-Portugal relations in the colonial and the postcolonial contexts, and to discuss the contributions of Lusophone African and Portuguese studies to the field of postcolonial studies. Macedo, an emeritus professor of Portuguese at King’s College, University of London, will examine misgivings of imperialism in Portuguese literature in his address Friday at 6:45p.m. Phillip Rothwell, associate professor of Portuguese at Rutgers University, will conduct a live interview with Macedo at 4:15p.m. Saturday. 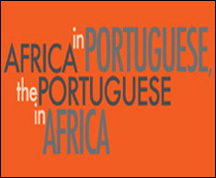 The conference aims to give students in Notre Dame’s Portuguese program opportunities to interact with writers and scholars from around the world, to help disseminate the vitality of Portuguese and Lusophone African studies within the University’s international and multicultural curriculum, and to foster an understanding of the lessons to be learned from Portuguese-African colonial and postcolonial relations. Advanced registration is not required and all events are free and open to the public. The conference is supported by funding from the Fundao Luso-Americana para o Desenvolvimento (Portugal), the Instituto Cames-Ministrio dos Negcios Estrangeiros (Portugal), the Kellogg Institute for International Studies, the Institute for Scholarship in the Liberal Arts, the Office of Research/Graduate School, the Nanovic Institute for European Studies, the Department of Romance Languages and Literatures, the Department of Africana Studies, and the Department of Film, Television and Theatre. Originally published by Isabel Ferreira Gould at newsinfo.nd.edu on April 16, 2008.